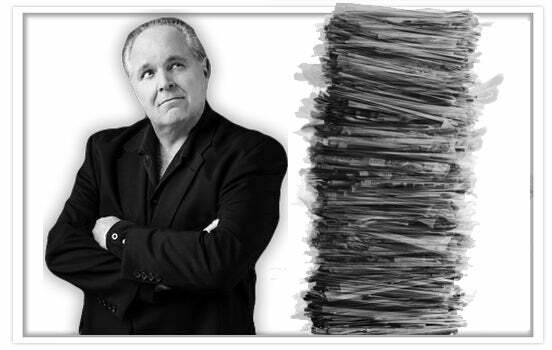 RUSH: Folks, there’s all kinds of other stuff out here. Let me just touch on some of the headlines. It looks like Xi Jinping, the president now for life of the ChiComs may have blinked in these trade negotiations. A big story. Some 200 migrants in Mexico caravan are going to show up here and seek asylum, according to the organizers of the caravan. News agencies are crying soft tears of joy. The Department of Homeland Security — oh, that guy resigned. What was his name? Bossert, Tom Bossert? He resigned today. This is probably due to Bolton wanting his own people in there. But he’s gone. The Department of Homeland Security to build 20 mile wall along the border in New Mexico. Arizona Supreme Court has struck down in-state tuition for the DREAMers, for the DACA kids. That’s a big story. And Bloomberg has a story on America’s richest ZIP codes, and all but two of them are in blue counties or blue states. The richest ZIP codes are where liberals live, except for two of them. And one of them is our county, Snerdley. Palm Beach County. CBS. According to Page Six of the New York Post, CBS is freaking out over what has been discovered in the investigation of Charlie can’t-keep-his-pants-up-apparently Rose. And they’re trying to silence all of the women. There must be a mountain of them. They’re trying to silence them with nondisclosure agreements. The Washington Post is working on a huge expose, and CBS is doing everything it can to cover it up. And when I saw this, I have to tell you something, it struck me as kind of strange ’cause normally these media people protect each other. They circle the wagons like when Dan Rather humiliated himself with the fake news about Bush and the National Guard, they circled the wagons, gave the guy a brand-new award that they created just for the occasion and a dinner so that the business wouldn’t suffer any humiliation because of what Rather had done. And you would think that Washington Post probably has its share of philanderers over there, as any organization statistically would have, and here they are trying to do everything they can to expose CBS. Well, I don’t think we’ll see it on 60 Minutes, tick, tick, tick, not even on 60 Seconds, tick, tick, tick. But stop and think: Why would the Washington Post want to take out CBS? Well, it’s Charlie Rose, but you just don’t see ’em turn on each other like this. You just don’t. But anyway, there’s that. The Boston Marathon — are you ready for this? This is why we cannot lose control of our country to these jerks, these leftist jerks. The Boston Marathon is gonna allow men to compete against women. Everybody’s the same. Shouldn’t matter. Testosterone’s not an advantage. Boston Marathon, men will be allowed to compete in the women’s division, the women’s race.